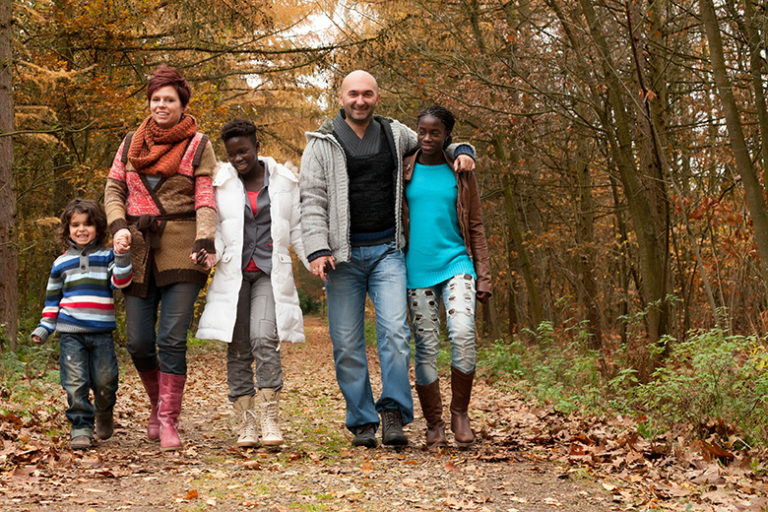 Are you planning a family vacation? The best lakes in our nation are known for their access to adventure and relaxation. What can be better than getting together with family or friends and spending the weekend or the week cruising a beautiful mountain lake? The exhilaration of spending time together with people you enjoy is the best tonic to a stress-filled life. The staff members provide shuttle service to and from the boat, unload your belongings, and cart them to the boat. Marinas offer several different boat models able to accommodate groups both large and small. A staff member explains the operation of the boat before he hands the reins over to you. It is easy enough to steer, but everyone who will have that responsibility should be a part of the instruction. You have to be as careful on the lake as you are on the streets back home. A pilot will navigate the boat out of the dock before he turns it over to you. In preparation for your houseboat stay, you can also obtain your California Boaters Card in advance and be one step closer to a safe & enjoyable vacation. 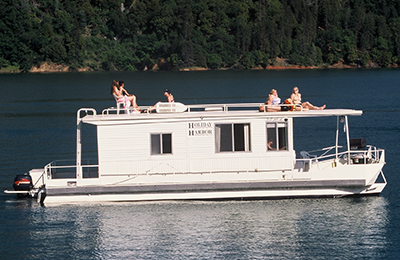 Houseboat rentals provide an outlet for your lakeside desires without the worry of being at the mercy of the elements. Today’s houseboats offer all the comforts of home. Different models accommodate small or large groups and have separate sleeping quarters. Generators are large enough to run the appliances when the motor is off; so, during stops for the night or other times when you stop to fish or swim, you still have the convenience of the refrigerator, television, and lights. The kitchen may have one or two refrigerators, depending on the size and model of the boat. Generally, you only have to bring food, clothes, bedding, and towels. Most everything else is provided on board for your convenience – pots and pans, a barbecue, and a large ice chest. Each sleeping area is private and has an electric outlet for charging phones or watching movies on your tablet. Enjoy relaxing on the upper deck. It is large enough for a party! Listen to music, soak up some sun, and imbibe in your favorite beverages as you cruise down the lake. The affordability of houseboat rentals is one of its nicest perks. It eliminates the need for a hotel room, restaurant, and searching for fun activities. A houseboat provides all in an affordable package that will be a vacation you will always remember. You do not have to search for a hotel with a view of the water; your “hotel” is on the water. House-boating helps you to wind down from the stresses of work and everyday life. The peace, serenity, and soothing motion of the water offer you a relaxing experience to enhance your state of mind. Sleep soundly, bask in the sunshine, and thrill to the vistas and echoes of nature all around you. Enjoy swimming, fishing, paddle boarding, jet skiing, and kayaking. Boat-in campsites offer an exciting alternative to regular campgrounds, but they do not have the typical amenities. The accessibility to the conveniences on the houseboat will more than suffice. What a fun way to campsites tucked away in coves that are all your own! You may even come across small islands that you can commandeer just for your group and feel very “Robinson Crusoe-ish.” Kids will remember it forever. Beautiful scenery, solitude, and recreational excitement abound in this gem, whose proximity to three national parks and abundant outdoor activity makes it a very popular houseboating location. You can have fun, relax, and entertain the whole family with one simple rental package.